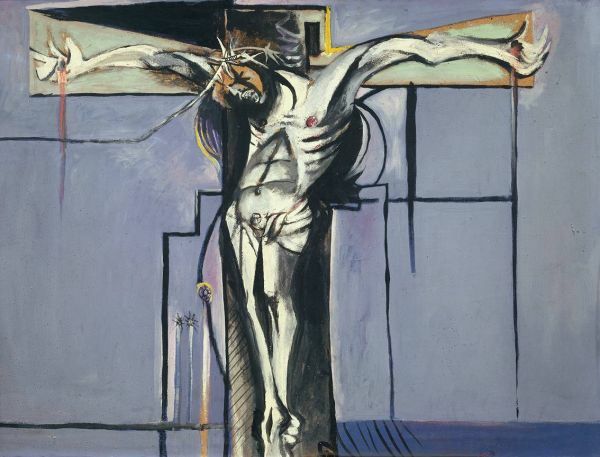 The Catholic Church was the largest patron of the arts for a long time in Western Europe. 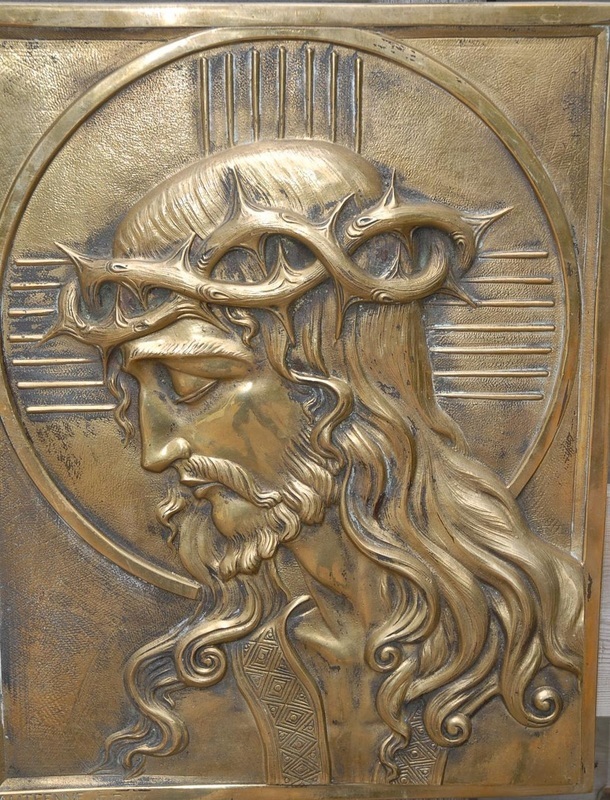 They used many art forms to create an identity and to attract worshippers such as architecture (cathedrals) sculpture (Virgin Mary, Jesus, saints), painting (altarpieces, frescoes), decorative art (stained glass) and illuminated manuscripts. The church, especially Renaissance popes spent so much money on art that it led to the Reformation and the division of the Church. 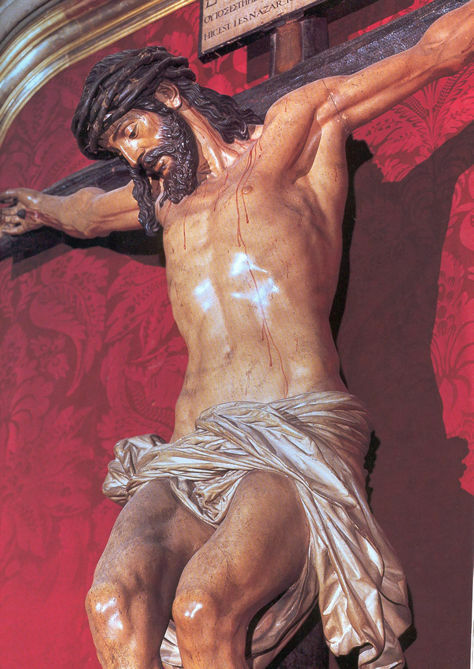 Anyhow, we can thank Catholics for the many beautiful art works they commissioned from Leonardo Da Vinci, Michelangelo, Brunelleschi, and many-many other wonderfully talented artists. Cross is the topmost symbol of Christianity, recalling the Crucifixion. 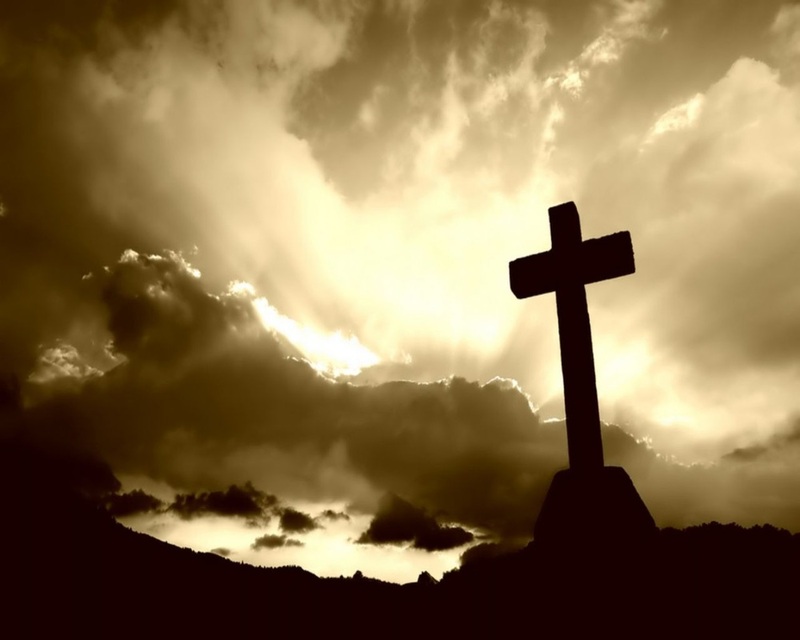 The cross is the sign of Jesus Christ. 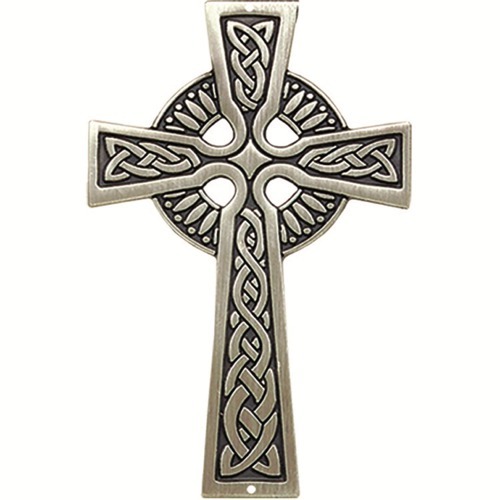 The "fish symbol" was an important sign for early Christians. They would have been in danger if somebody would have found out their beliefs so they used the fish sign to recognize each other. Fish means "ichthus" in Greek and each of the letters have a secret meaning which together means "Jesus Christ, God's Son and Savior." The fish symbol was not invented for art purpose but can be seen as the first effort to express Christian faith. FRESCOES are the most beautiful art expressions in Christianity. They not just decorated the newly built churches but taught people to Christian saints and martyrs' stories, historical events, and of course stories from Jesus' life. Fresco painting is a special art technique because the artist have to paint onto the still wet wall. They are so fragile we are lucky to have them at all. The Last Supper, Leonardo Da Vinci, 1498, Milano. 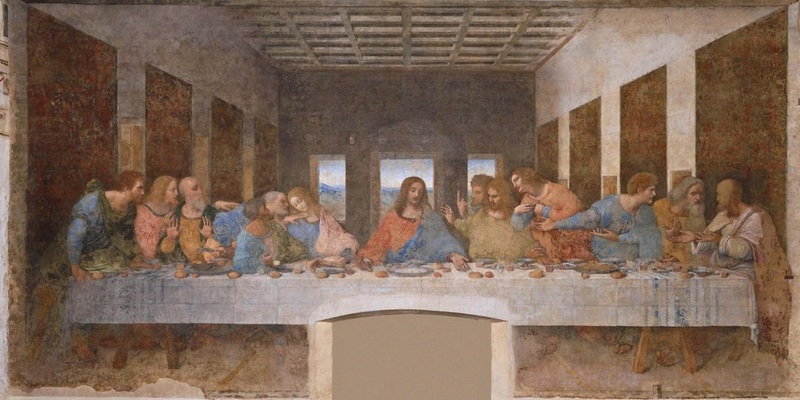 This painting is so precious that one has to buy a ticket to see it in two month advance and even then, only a few minutes allowed in there and just seconds in front of The Last Supper. 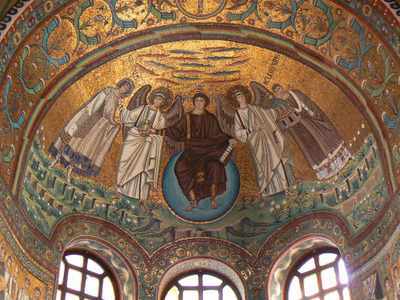 The mosaics of the basilica in Ravenna, Italy, is the most famous early Christian art. The tiny Scrovegni Chapel in Padua, Italy, hides the blue fresco miracle works of Giotto. They depict Jesus' life, his parents' life, and more, under a starry beautiful blue sky ceiling. Before you enter the chapel you must be cleaned off dusts and chemicals and germs, in a special cabin. Jesus, as the central figure of Christianity, the founder and the savior, is the main character in Christian art expressions. Countless paintings, statues, frescoes portrayal his figure. 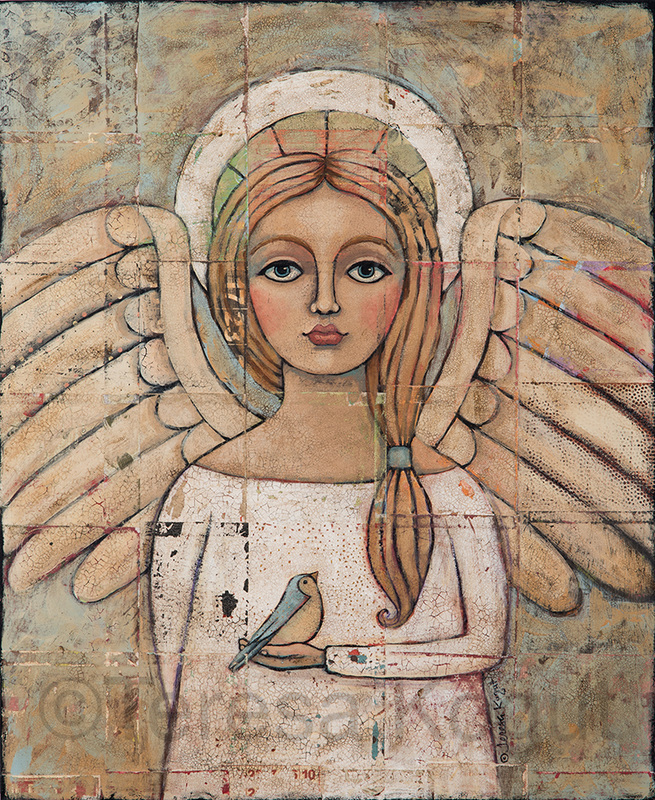 In Christianity, angels are creatures who serve God. Angels are depicted as bringing messages to God's people (e.g. Luke 1:26-27), protecting God's people (e.g. Psalm 91:11), and bringing judgment upon God's enemies (e.g. Matt. 13:49-50). In the early centuries Christians worshipped in secret places. When Constantine, the Roman emperor made Christianity the lawful religion of the Roman Empire in 312 AD, the new religion needed a place to practice their faith legally. The basilica, a large rectangular meeting hall became general in east and west, as the model for churches, with naves and aisles. Stained glass windows in churches were originally ordered to tell illiterates biblical stories and saints' life. 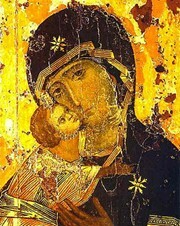 Jesus Christs' mother, the Virgin Mary is always depicted as a beautiful woman with sorrow in her eyes. She represents purity and frequently holds white lily flower in her hands symbolizing virginity and purity. Mary with crown and lilies representing virginity and purity.